I discovered these tiny 15,10, and 8mm fans quite a while ago, and I finally decided to make something with them. Behold! 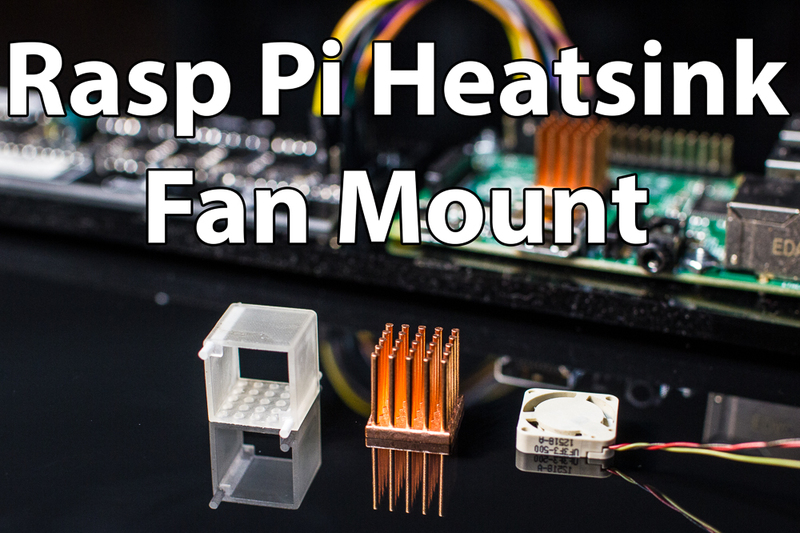 the Tiny Rasp Pi Heatsink Fan mount. I wanted to replicate a large computer heatsink in small scale for the Pi. It holds a fan on each side, but I only have one in my possession right now. I haven’t designed the circuitry to drive it from the pi yet(temperature speed control!) but you can already order yours at shapeways if you like. Lots of pictures after the jump. This entry was posted in Uncategorized on September 19, 2015 by Sean Hodgins. Back when I first started this site I made a very simple “rig” for doing timelapses on the new (at the time) app Vine. Check it out here. Now the latest big app is called BeMe, and it also has an interesting way to begin recording; you have to cover the proximity sensor. Its designed like this so that you always will be near the phone and it will be your perspective when recording, and you’re not allowed to do anything else! Challenge accepted. Video after the Jump. 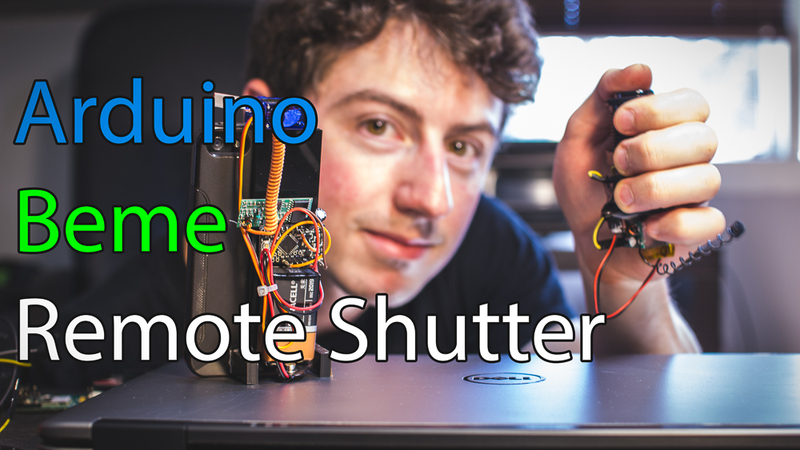 Here is my very quick BeMe remote shutter. About 1-2 Hours of Fun Time. Right now since its so hacked together the RF doesn’t like to communicate when the servo moves which means it drops out when you trigger it. As a quick fix I modified the code to just trigger and wait the minimum time for the BeMe to post. As a real fix I could add a transistor to power the servo so that when its not moving its powered off. This entry was posted in Uncategorized on August 8, 2015 by Sean Hodgins. So did I trick you? Not everything I do always has to do with technology or electronics. Sometimes I just design something because I think looks cool, or I want one and can’t buy. As soon as I watched the new trailer for Spectre, I knew I had to make the ring. The simple design really caught my eye. Images after the jump! This entry was posted in Uncategorized on April 19, 2015 by Sean Hodgins. 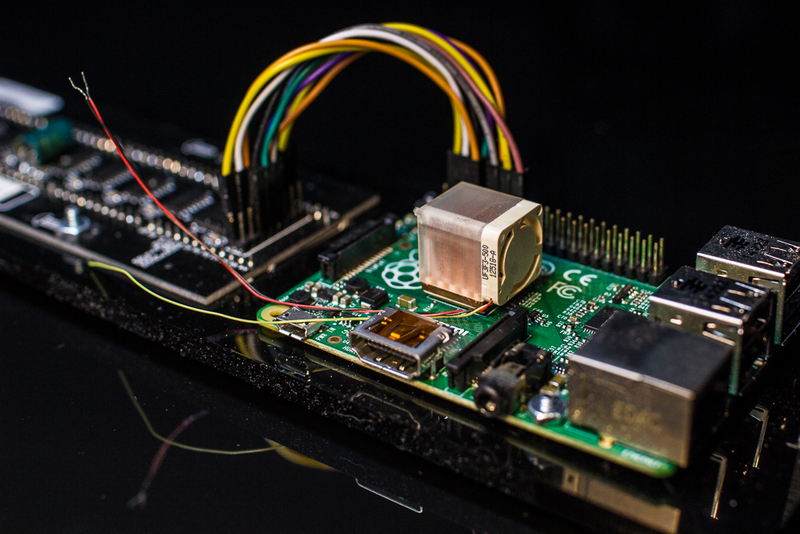 Project can be followed via Hackaday.io, Click here to view it. I’m sure we are all now aware of the rapidly increasing epidemic that is Diabetes. I myself am part of those statistics. That is just my way of saying I also have it. We’re all just statistics to our healthcare systems. We’re not individuals where they care about how our lives work and if they’re actually able to help or not. They look at some statistics, and then make everyone conform to the average. I personally don’t agree with this practice. Humans are not the same, we are all different. One thing that works for one group of people, isn’t going to work for another group. We need variety in our choices on how to manage our personal lives for a number of reasons. One of those major contributing factors in this is money(isn’t it always?). In North America alone there are many people struggling to pay for their medical expenses and have a lower quality of life because of it. Test strips alone are a huge nuisance on a person who is managing their Diabetes. 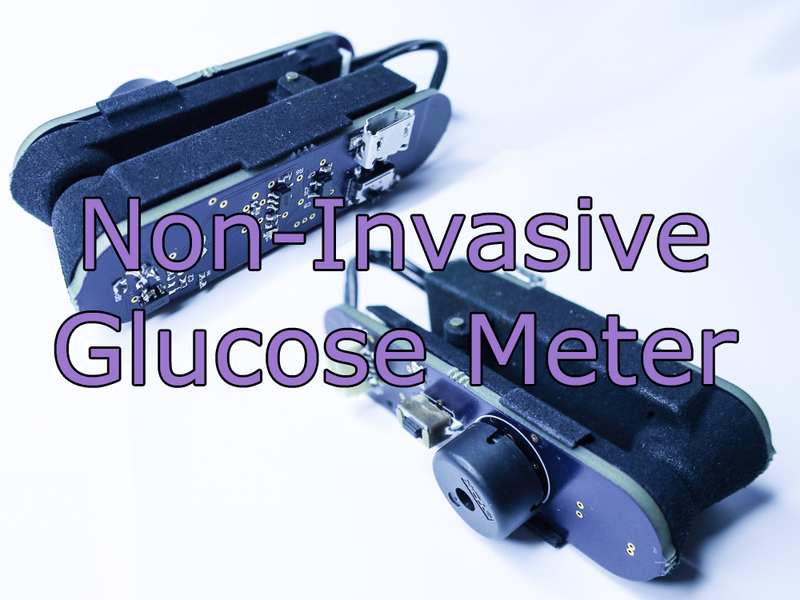 Knowing this information, and the fact that it also directly affects me as well, I decided to look into other methods of glucose monitoring. Video after the jump. This entry was posted in 3D Printing, Arduino, CAD, CNC, eagle, Electronics, Fix, medical, Projects, Uncategorized and tagged 3d, 3dprint, 3dprinting, Arduino, eagle, electronics, LED, medical, robotics on April 19, 2015 by Sean Hodgins. One giveaway after another! I guess its that time of year. I will try to do a lot more of these because they are pretty fun and people love getting free things! Raffle is at the bottom of this page! 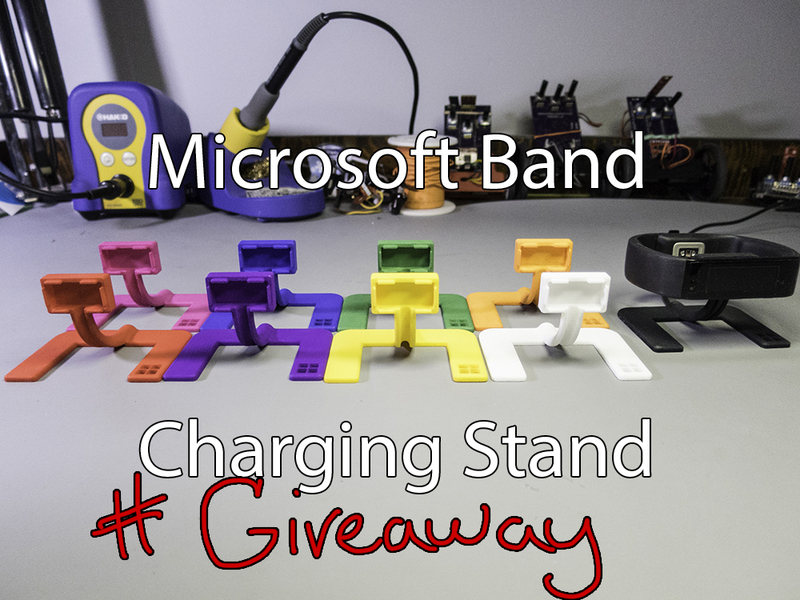 I will be doing 2 giveaways of the Microsoft Band Charging Stand, each consisting of 4 different coloured charging stands from Shapeways. This time you can win red, pink, purple, and blue. Click More to see the raffle (at the bottom) and some videos of the stand! This entry was posted in 3D Printing, CAD, Electronics, Fun, Projects, raffle, Uncategorized, wearabletech and tagged 3d, 3dprint, 3dprinted, 3dprinting, electronics, raffle, shapeways, smartwatch, wearable on December 31, 2014 by Sean Hodgins. I have 5 bare PCBs that I will be sending out to some lucky winners. They are for the PIDDYBOT so you can build your own! The raffle is below, requires you to follow on twitter, you can get other entries by tweeting about it as well. You need to use your email to sign up, but I won’t email anyone about anything other than this raffle. This is a trial run for me using RaffleCopter, so hopefully it goes smoothly! This entry was posted in 3D Printing, Arduino, eagle, Electronics, Fun, Hack, Robotics and tagged 3dprinting, Arduino, balancing, electronics, robot, robotics, sparkfun on December 26, 2014 by Sean Hodgins. There is nothing more frustrating than losing a cable behind your desk or bedside table. This is a problem I encountered with my new Microsoft Band. I believe there have been some reports of a charging stand either in the works or buried somewhere at Microsoft(I think I saw a drawing of one?). It doesn’t seem like they have plans to release it any time soon. I decided to take it upon myself to design my own. 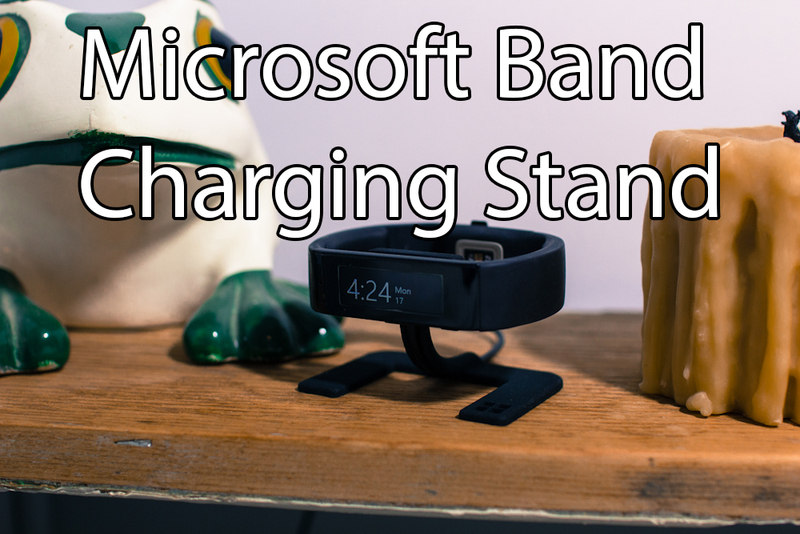 Thanks to Shapeways you can now buy your very own Microsoft Band charging stand. Also, it lets you use your band as a bedside clock. Video after the jump! This entry was posted in Uncategorized on November 18, 2014 by Sean Hodgins. The other day one of the motors died out on my most used desk toys. It provides a nice 6-7 minute break when I remember that it has charged; it needed to be fixed ASAP(it keeps me sane through all the work). This one was very quick and easy. Anyone with a steady hand with a bit of soldering skill could do it. When I say “quick” I mean literally less than a minute to replace a motor on the Estes Proto X Nano. 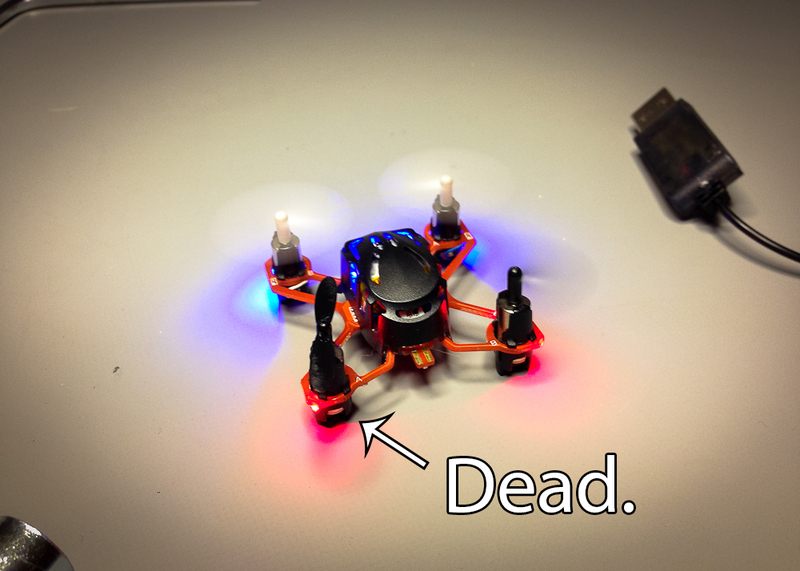 This entry was posted in Electronics, Fix, Quick, R/C, Robotics and tagged electronics, fix, nano, proto, RC on October 1, 2014 by Sean Hodgins. #PIDDYBOT – A needed update! I had a couple emails informing me that Sparkfun is no longer selling the motors I use for the PIDDYBOT! Not to fear for I have an updated body for the motors they do carry. 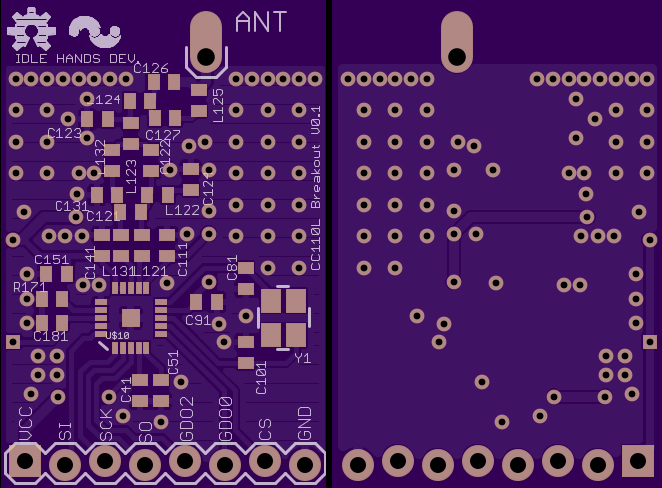 On top of that I have also made an updated board that uses Bluetooth and its available on OSHPark. 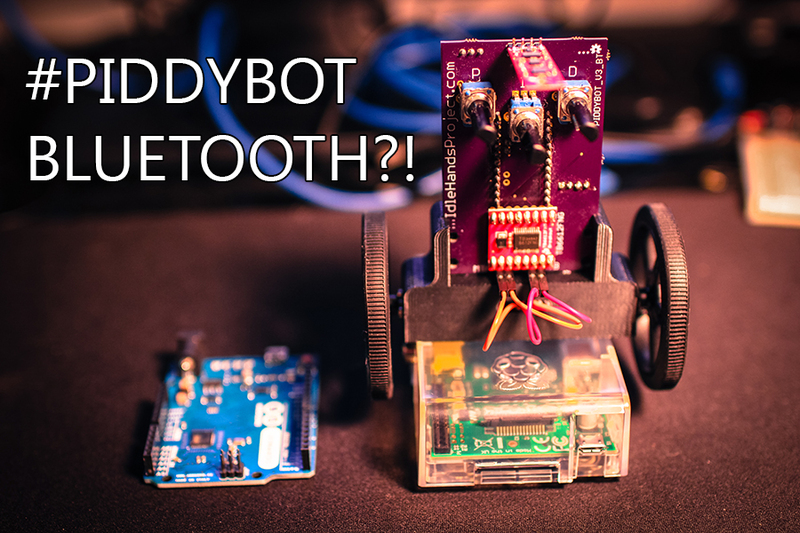 The bluetooth allows you to drive your PIDDYBOT around with your android device! Since I updated the board I changed some components around. This quick post will have a list of updated components but the build is pretty much the same. Click More to see the parts list! And a Sneak peek at the new PIDDYBOT. This entry was posted in Uncategorized on August 19, 2014 by Sean Hodgins. TI CC11X 868/915mhz RF Breakout. After looking around for some eagle files for the CC110L, I failed to find anything that was as simple as”copy and paste”. I found the design notes for it and decided to create my own breakout board for testing. For those who don’t know, the TI CC11X are a series of low power RF modules. They are used in the Anaren boost pack and are great for low power RF projects. There are a bunch of development boards to work with but there are no open source eagle files(that I could find) for easily placing this module into your project. 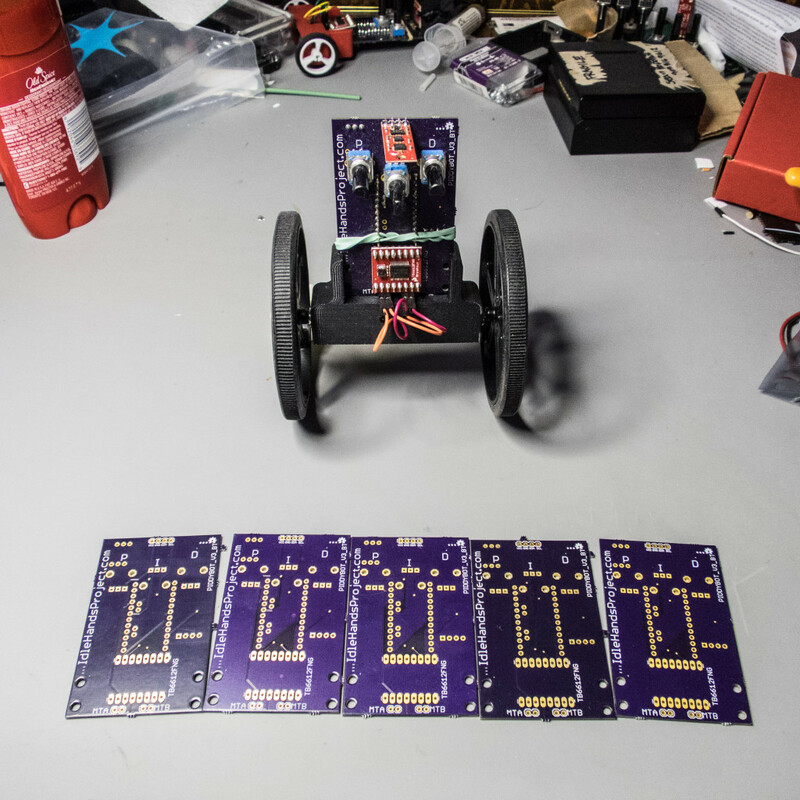 I just finished and ordered a set from OSHpark. If you’re brave(I haven’t tested them yet) you can order a set for $5.00 for three,by clicking the link above or using the eagle files below. Its up to you to check the files yourself. Or you can check back in a month when I have had time to test the board layout. Be warned the design calls for 0402 components, which I have used in the eagle files. Click more to get to the Eagle files! This entry was posted in Arduino, CAD, eagle, Electronics, rf and tagged Arduino, eagle, electronics, rf on August 17, 2014 by Sean Hodgins.